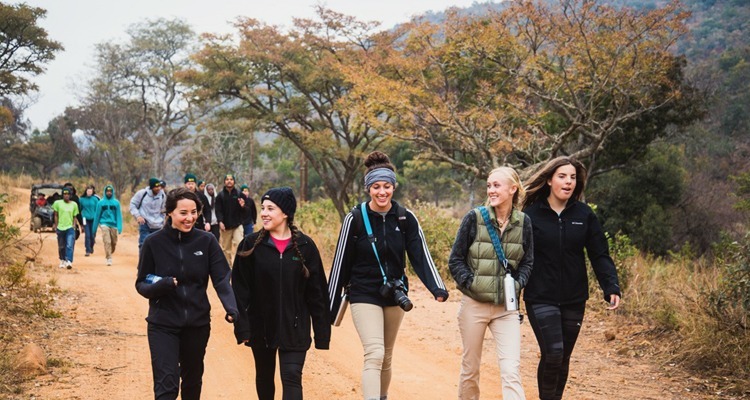 Created by Teach Every Nation (TEN) and co-sponsored by Corban University, CAMP10 combines classroom instruction, hands-on ministry, discipleship, and adventure at an incredible game park in South Africa. Mackouwkuil Lodge and Conference Centre, a well-appointed and malaria-free 2,000-hectare game farm, is the ideal home away from home and it offers all the amenities needed for an unforgettable adventure. This unique nine-hour college credit summer program is designed to help high school and college students step out of their comfort zone and prepare them for college and life as they embark on a spiritual journey of experiential learning. During these three weeks in one of the most incredible wildlife locations in Africa, students are exposed to God’s Word and world in a fast-paced, adventure-filled study program. This life-altering journey is ideal for students who are not only looking for a fun opportunity to gain some extra college credit but also want to discover God’s purpose and perspective for their future. The transformational Christian instruction, positive role models, and peer interactions with other young believers at CAMP10 is invaluable. We believe nothing is more significant than seeing young people make quality life decisions and prepare to make a difference in the world. Partner with us where adventure meets purpose – at Camp10 in South Africa!